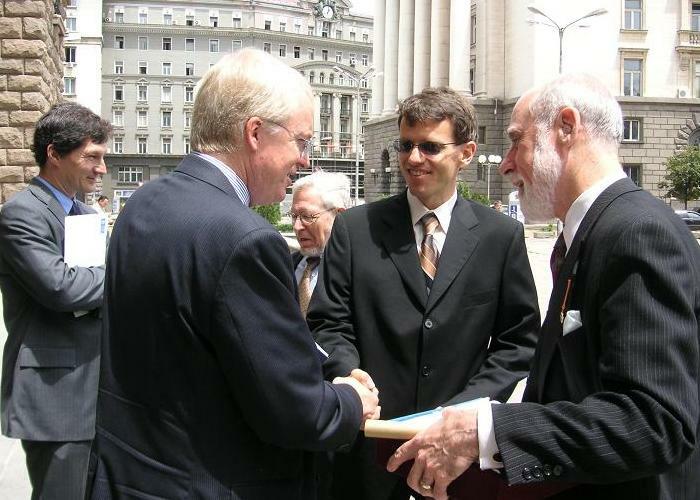 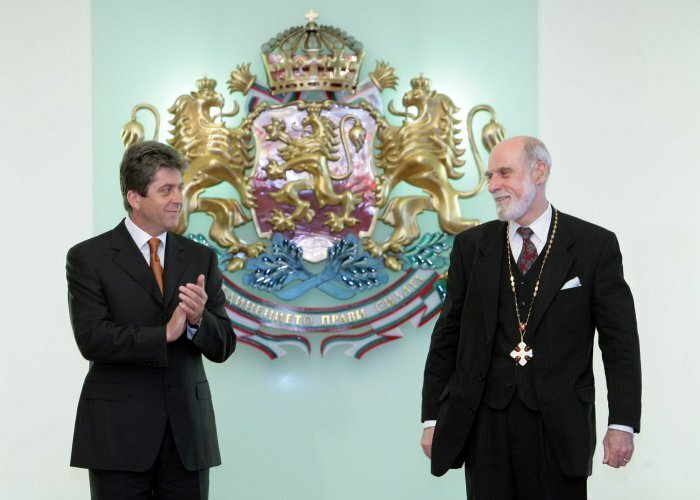 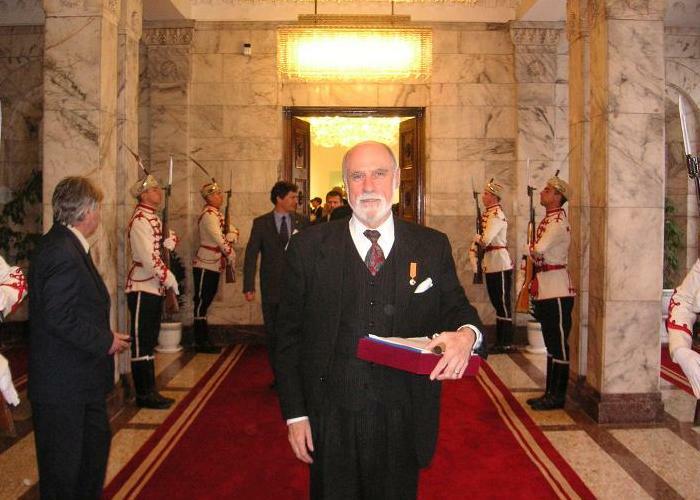 Vint Cerf going out of the Ceremony Hall of the Office of the President. 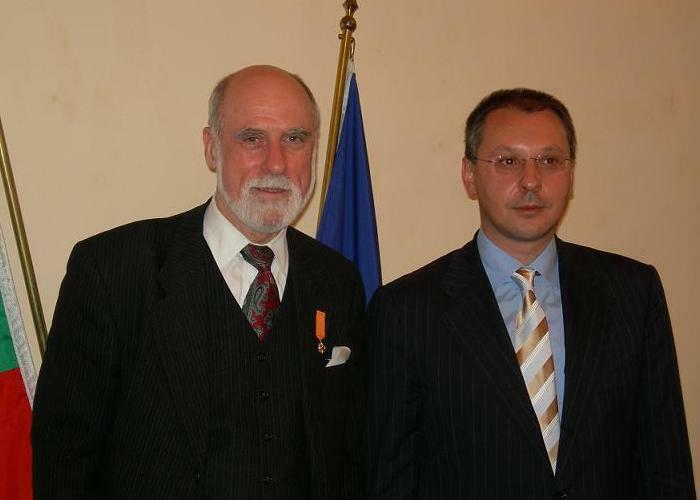 The "St.St. 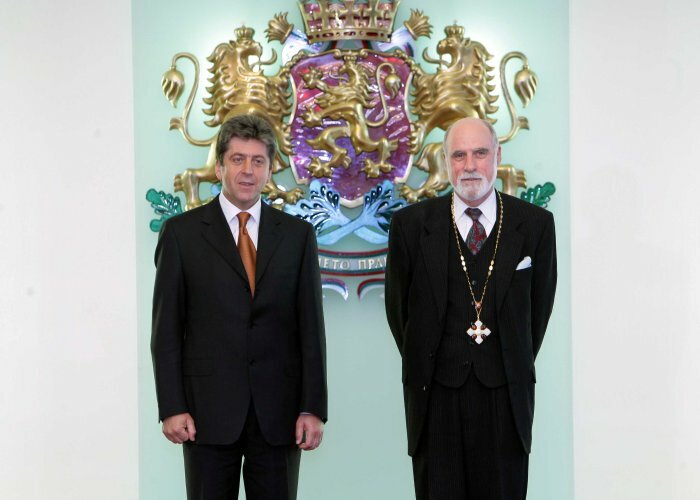 Cyril and Methodius" in the Coat of Arms order is in the box; on his coat with the orange strip is the sign of the order - the cross. 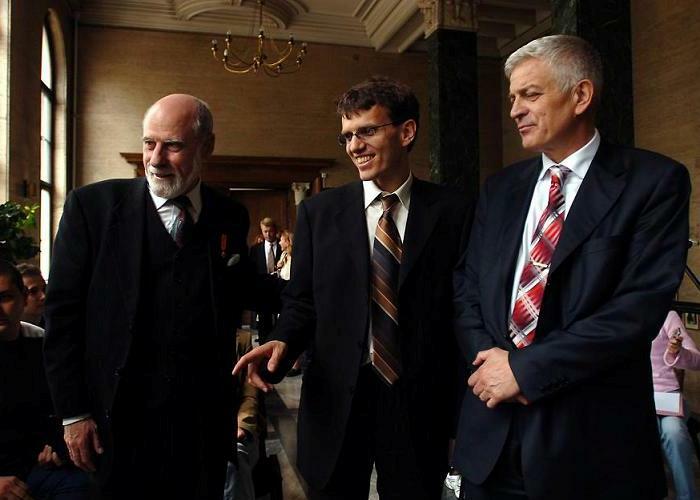 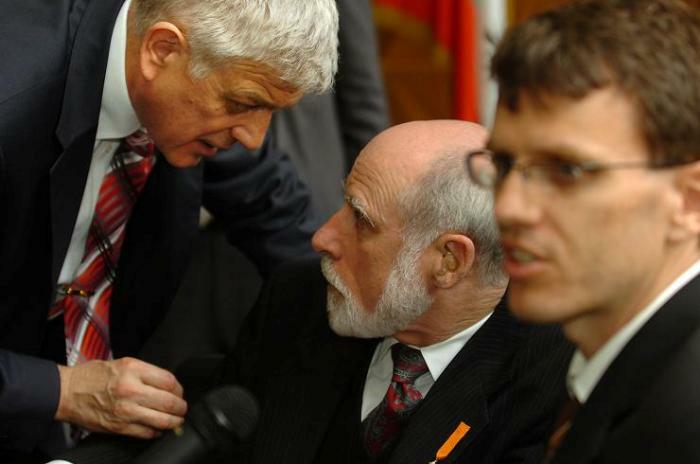 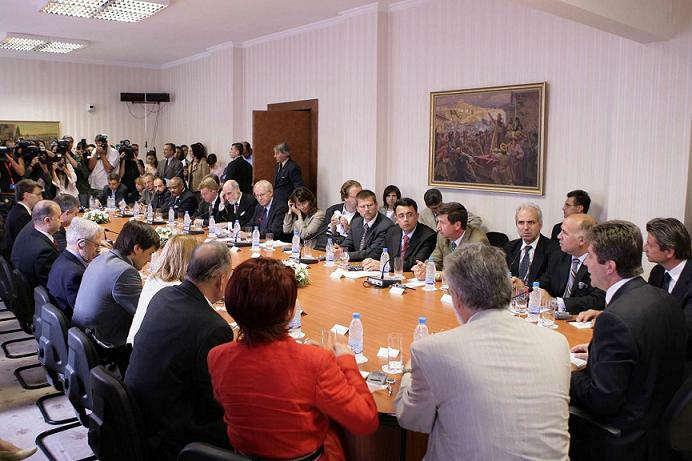 Plamen Vatchkov talks to Vint Cerf; Veni Markovski at the front addresses journalists at the press-conference at SAITC. 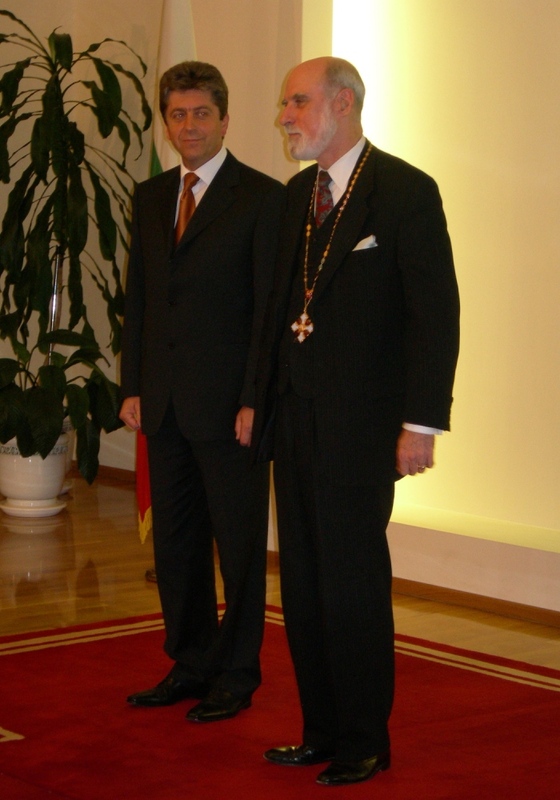 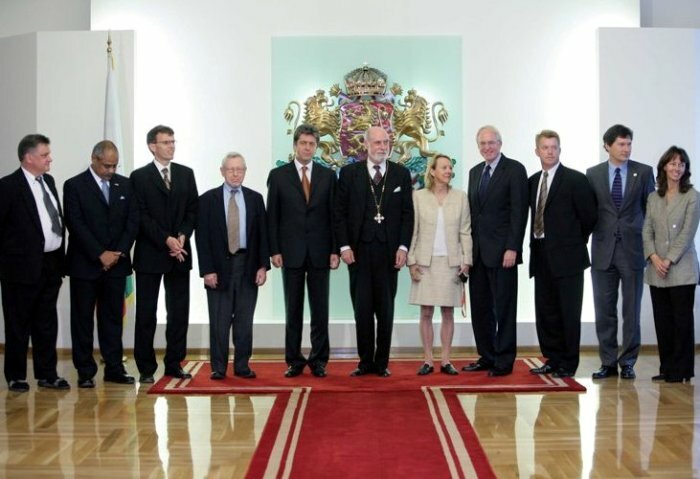 Vint Cerf and President Parvanov at the President's Office, immediately after the award ceremony. 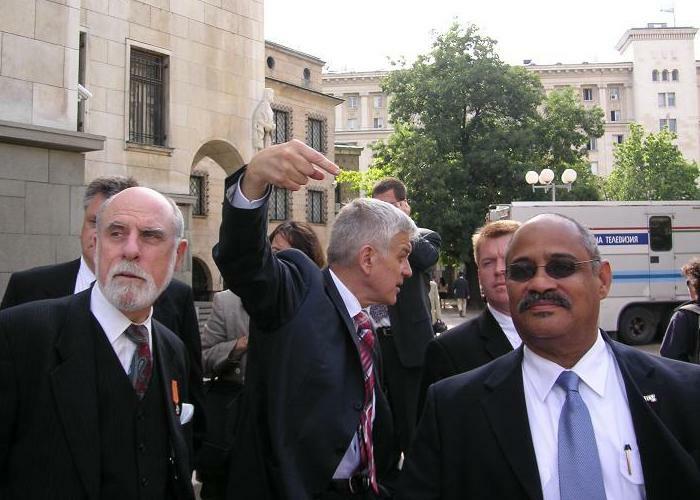 Vint is carrying the order in full size and shape. 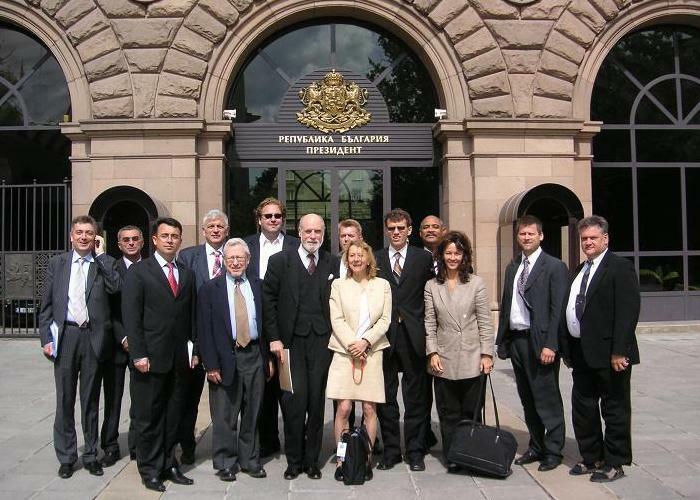 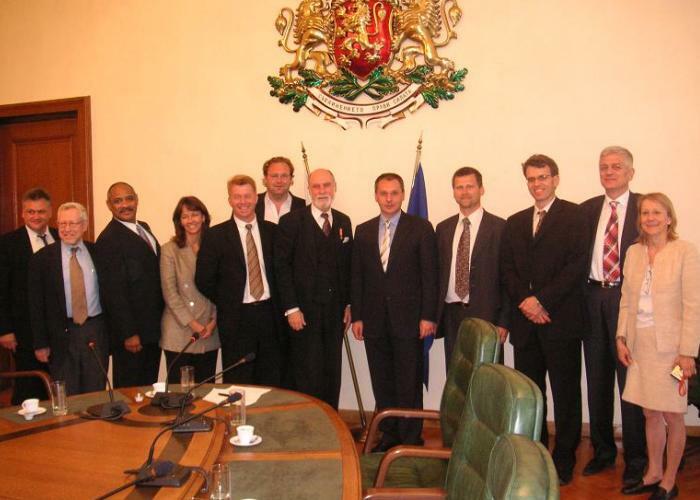 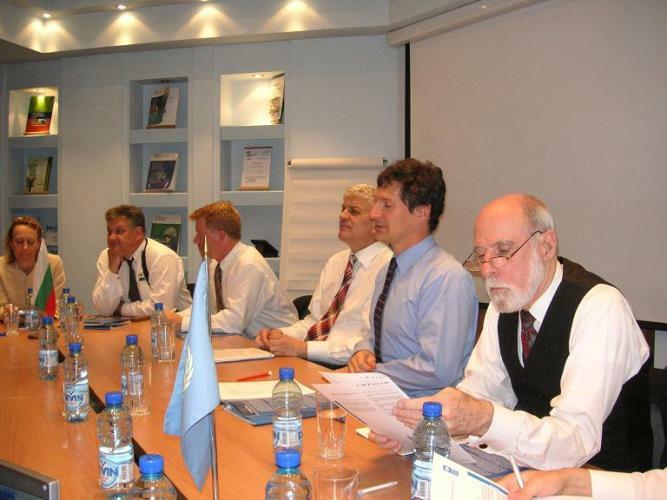 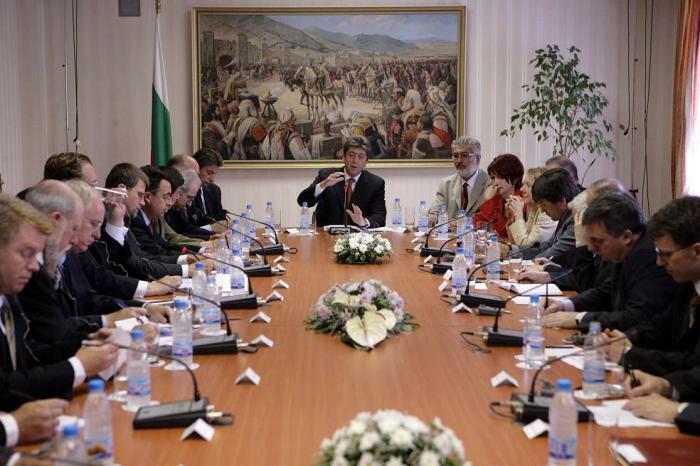 photo: ISOC-Bulgaria, Valentin Nikolov from the Office of the President, Dnevnik daily, Fred Baker.